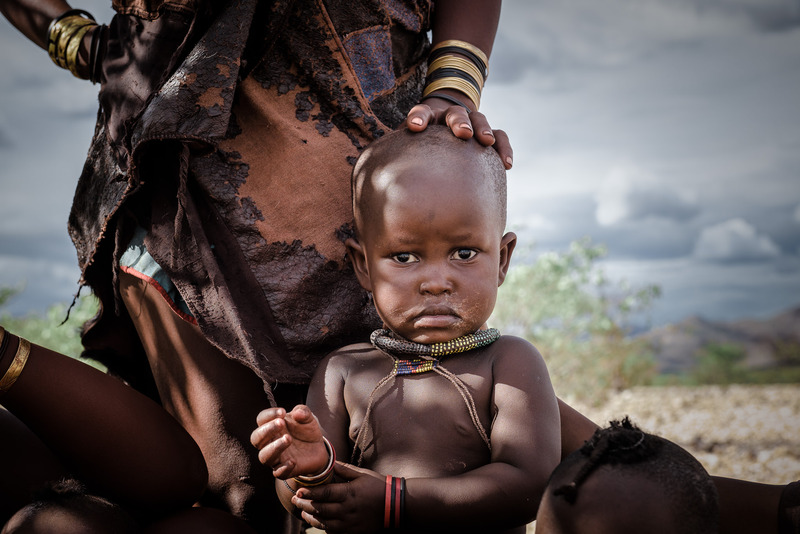 Portrait of a Himba child with mother’s hand on the head, Hoarusib River Valley, Kunene Region, Namibia, Africa. Photographed with NIKON D810 + NIKON 24-70 mm f/2.8 @ 70 mm, ISO 500, 1/500, f/8.0. Image © Marja Schwartz. All rights reserved.